Pelican Street by Candalepas Associates has featured as one of the projects in the new Thames & Hudson Publication “The Apartment House”. 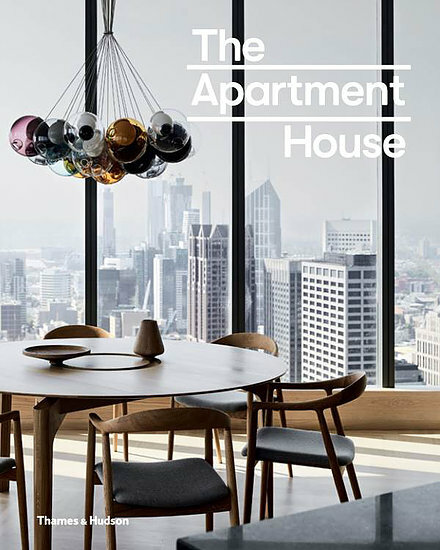 An exploration of the best in higher-density living, The Apartment House explores some of the best examples of contemporary multi-residential projects, from suburban duplexes and townhouses, to medium-density apartment blocks and vertical living in twin towers. As the dream of home ownership in Australia and New Zealand is updated the detached house on a quarter acre block with a Hills Hoist has become an outdated ideal. A new generation of owners is foregoing the big backyard in favour of the convenience, sustainability and affordability of inner-city life in a townhouse or apartment. Whether newly built or renovated, each project demonstrates the importance of the relationship between density and amenity, whilst showcasing the benefits of living in closer proximity to one another. This exciting collection of homes speaks to the 21st century lifestyle where smaller and closer is the new dream.